You'll get one lifetime license to use our revolutionary program that delivers lessons in ways never before possible. The license key will let you install and activate the software on one computer. Teach your baby with a ready-made curriculum, complete with lesson content and media. 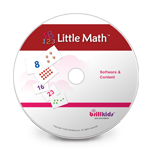 You'll have access to Little Math's FULL suite of customization features so you can CREATE and EDIT all your lessons, or even download tons of additional lesson or media content from the BrillKids Library! 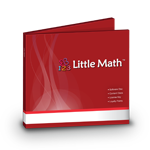 This booklet will help you understand how the system works and how the curriculum was created so you can make the most out of your Little Math experience. Learn about the philosophy behind early math instruction, the teaching methods you can use, and - most importantly - how to give your child a lifelong love of math.